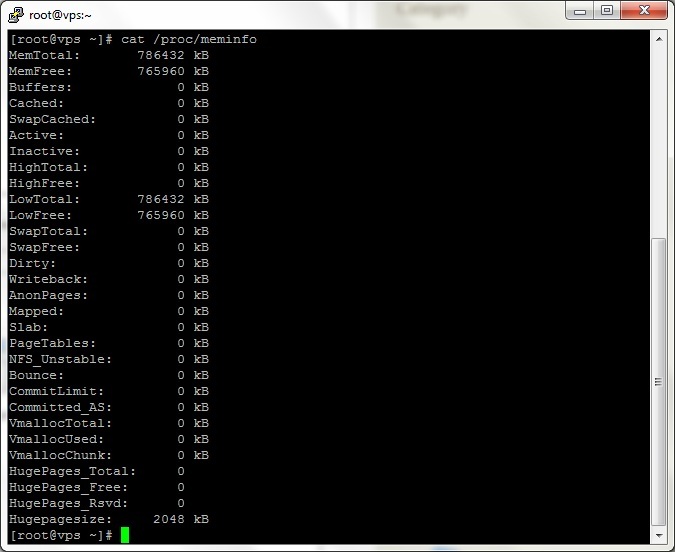 Generally PHP memory limit set by root host is 8-32 MB But sometime you may need more PHP memory. If you are on a shared hosting, you can increase php memory limit of your account by simply adding the following code in your .htaccess file located in public_html folder. Use below SSH command to find detailed memory information / usage of your server / VPS. It will show you total memory, free memory, used memory, cached memory etc. The total amount of non-highmem memory. The amount of free memory of the low memory region. Total amount of physical swap memory. Dirt: The total amount of memory waiting to be written back to the disk. Writeback: The total amount of memory actively being written back to the disk. You can check the centOS version installed on your dedicated server / VPS using any of the following SSH command. You can check your dedicated server or VPS memory details using SSH command. This command will show total memory installed, currently used memory, currently free memory and other details.